No matter who you are, functional vision problems affect what you do. And no matter what age you are, optometric vision therapy can help! 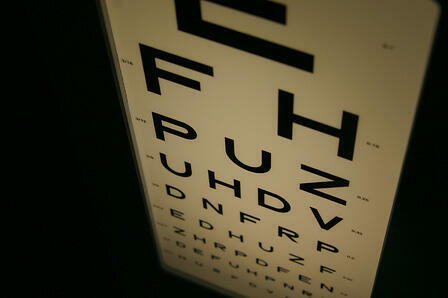 Most people are familiar with typical eyesight screenings. They are aware of the Snellen eye chart (20/20 test), which tests your ability to see objects clearly at a set distance. But functional vision is different. Undetected by typical vision screenings, many educators and doctors are unaware Functional Vision problems even exist. Vision Therapy can help correct Functional Vision Problems by retraining you or your child’s visual system to work properly. Children and Adults can be Treated with Vision Therapy! The Vision Therapy Center provides optometric vision therapy to correct functional vision problems in children and adults. Optometric vision therapy is the use of lenses, prisms and eye exercises and activities prescribed by a developmental optometrist. The goal is to develop the visual skills so the visual system is working easily and efficiently. To see if you or your child has a Functional Vision Problem and if Vision Therapy is an option, take our free online Vision Quiz. Developed by a team of optometrists, the Vision Quiz a score-based system that helps us determine if a Functional Vision Exam is needed. It's ok to skip a question if you don't know the answer. Some questions are based on how a child functions in the classroom - email your teacher the link to this page and ask him / her to take it based on how your child functions in the classroom. The quiz applies to both adults and children. A score of 20 or more, or the persistence of 1-2 symptoms indicates the need for testing. Click on the boxes next to the numbers. It’s why many children and adults who have 20/20 eyesight actually have a Functional Vision Problem! Children lacking in these critical visual skills will have problems reading, writing and may even have behavioral issues. They may experience symptoms such as headaches, sore eyes, and short-attention spans. It tests specifically for the Functional Vision problems typical screenings miss. 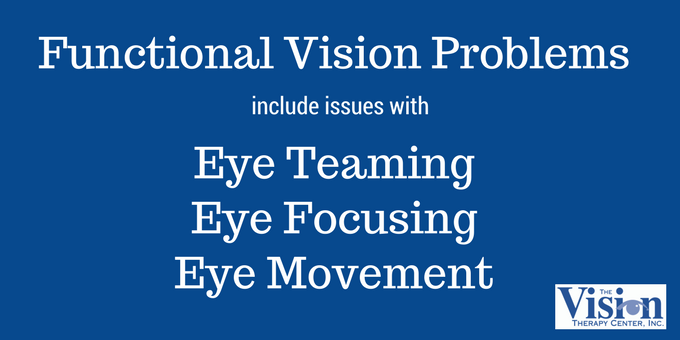 To find out if this type of exam is needed, scroll up the page and take our Vision Quiz to see if you or your child has the symptoms of a Functional Vision problem. Or, click on the button below to schedule an exam. How does Vision Therapy work? Using optical devices, patients engage in activities that help the visual system correctly process the visual information that the brain receives from the eyes. A person will practice these activities at home for approximately 20 minutes a day, 5 days a week. These activities at home are combined with weekly office visits, and a typical program lasts 6-9 months. After that, the functional vision problem should be corrected. Every optometrist certified by the American Optometric Association undergoes training in vision therapy, but not all can diagnose and recommend treatment. Dr. Kellye Knueppel leads our team of developmental optometrists and vision therapists. 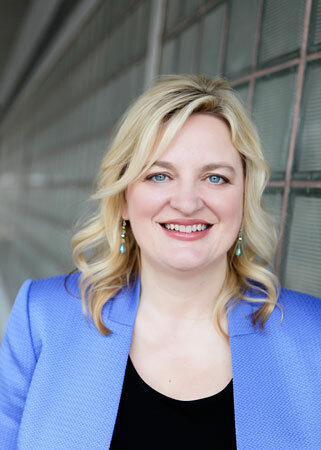 Internationally-renowned for her expertise in Vision Therapy, Dr. Knueppel has served as the President of the Wisconsin Optometric Association and been named Wisconsin Optometrist of the Year, among her other accolades. The practice of Vision Therapy itself has been extensively researched, and numerous studies have demonstrated its efficacy. We are always happy to share these studies. We can also link you to hundreds of success stories - both from The Vision Therapy Center and around the globe. Since 1995, people of all ages have turned to The Vision Therapy Center in Wisconsin for a solution. And by using vision therapy, we’ve delivered – improving the vision and the lives of over 6,000 patients. The Vision Therapy Center has been voted as one of the top Brookfield, WI Optometry practices.